The Company has developed the InvoiNet portal, a collaborative platform leader in Latin America where buyers, sellers and funders interact for the invoices management in the cloud. The platform facilitates the electronic invoicing process, offering an integral solution for Accounts Payable and Accounts Receivable processes. 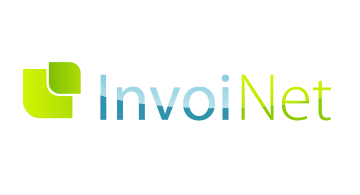 Invoices are discounted on the platform and loans are granted to SMEs through the scoring developed by Invoinet. The value proposition consists in integrating all the processes of sending, receiving, managing disputes, collection, payment and reconciliation on a collaborative cloud based platform; integrating the financial sector to discount approved invoices on the platform. Accumulate and exploit payment record information, compliance standards and trade flows to generate scoring of the participating companies on the platform to offer loans by the lenders through Invoinet. InvoiNet platform is used in more than 100 countries, has more than 200 corporate clients and maintains more than 200,000 users connected. Up to date, InvoiNet has processed more than 19 million invoices and has managed more than 43 billion dollars. The company offers the platform under SAAS (software as a service) model to businesses in a diverse range of industries.